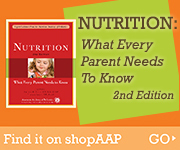 ​​​​The specific nutritional choices you and your children make are crucial. Good nutrition is essential to good health and the American Academy of Pediatrics encourages parents to think of their nutritional decisions as health decisions. ​When it comes to getting protein into your child’s diet, you don’t have to get into battles—or give in to the daily chicken nugget diet. There are lots of ways to do it, and with a bit of creativity and persistence, your child can get what he or she needs. Here are some things about protein that you may not know—and some ideas to make mealtimes easier. Are Your Kids Hungry or Just Bored? No More "Clean Plate Club"
Organic Foods: Worth the Price? The 5-Second Rule: Fact or Fiction?